Taille de cet aperçu : 800 × 554 pixels. Autres résolutions : 320 × 222 pixels | 640 × 443 pixels | 969 × 671 pixels. 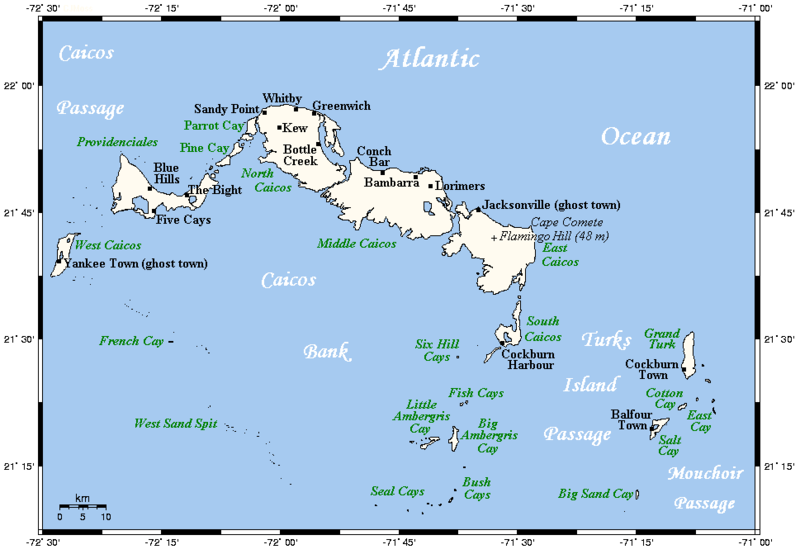 A map showing the Turks and Caicos Islands' main towns and islands. This map's source is here, with the uploader's modifications, and the GMT homepage says that the tools are released under the GNU General Public License. Source Originally uploaded by Kelisi to en:Wikipedia (log).